POLITICAL TIDBITS: Senate plans investigation into avalanche of undocumented Chinese workers who enter as “tourists.” Historic EDSA has become a grand canyon of huge unregulated commercial ads. 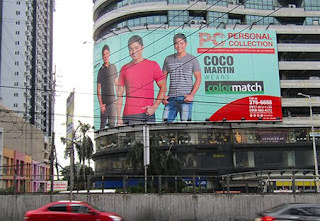 Why, even Camp Aguinaldo’s perimeter fence along EDSA displays glamour ads! As Rappler put it, there's total anarchy in advertising! Contrast Metro Manila with the way Paris has preserved the city center that its artists have enshrined for generations. Senate plans investigation into avalanche of undocumented Chinese workers who enter as “tourists.” Historic EDSA has become a grand canyon of huge unregulated commercial ads. Why, even Camp Aguinaldo’s perimeter fence along EDSA displays glamour ads! As Rappler put it, there's total anarchy in advertising! Contrast Metro Manila with the way Paris has preserved the city center that its artists have enshrined for generations. Over the past two years I have been hearing from various people about how so many Chinese from the mainland have been renting middle-priced condominiums in various parts of Metro Manila, notably in Pasig and Makati. Like many others I have wondered what these Chinese people are doing here. Are they all tourists? If so, why the sudden surge and long-term lease of condos? Then it began to be talked about that Chinese nationals are also found in other cities in this country, notably in industrial and investment zones. Now we hear from immigration sources that Chinese nationals are coming into the country in the tens of thousands and spreading out into the various eco-zones throughout our archipelago. Rough estimate of Immigration is that there are at least two million such nationals here. Recent news from the Senate disclosed that many Chinese nationals have come in to work in online gambling in various parts of our country---many undocumented and unlicensed. Sen. Joel Villanueva, who has taken a strong stand against the illegal entry of Chinese, estimates that there could be some 119,000 such nationals who work in firms run by Pogos (Philippine offshore gaming operators). It’s also easy to see collusion between unscrupulous immigration personnel and foreign entities. The wonder of it all is that while Chinese nationals appear to be setting up businesses in the various eco-zones here, they are staffing those businesses with their nationals---instead of just providing for the top level of officialdom and hiring Filipino citizens for the lower echelons---as other foreign investors do. This means depriving jobs for Filipinos in the various eco-zones, as our investment laws clearly provide. I wrote about this phenomenon months ago and I'm glad that Senators Joel Villanueva and Grace Poe are leading the urgent call for investigation by the proper Senate committee. This issue was raised during the recent visit of Chinese President Xi Jinping, which was most successful except for this jarring avalanche of undocumented Chinese nationals here. This has to be corrected early enough, before more economic opportunities that ought to be reserved for Filipino workers disappear and industries with nefarious consequences, such as on-line gambling among Filipinos, become totally unchecked. In a related issue, I subscribe to the OBJECTION of a good number of our countrymen to entrust the setting up and operation of the third Telco system to Chinese entrepreneurs. It should be plainly obvious to our finance and industry officials that doing so could be a big security problem. To say the least, it would be plainly stupid, given precedents in the immigration and labor sectors. Like the millions who traverse EDSA daily, I suffer the horrendous traffic along in this major route, especially as Christmas shopping goes into a frenzy. 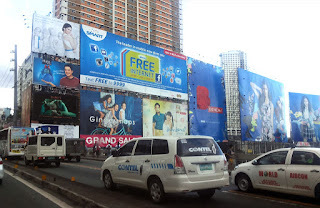 Each time I am stuck in EDSA I do what millions do: gaze lazily at all the huge commercial advertisements on this major highway---which are getting more monstrous and claustrophobia-inducing by the day. I admit that those huge ad billboards have a way of reducing the boredom of horrendous traffic, but I’m also just so aghast at the way these have bloomed when nobody seemed to be minding---bigger than life, each trying to outdo the other in monstrosity. Some nearly cover entire building facades. It’s like the whole metropolis has gone mad and we’re inducing a kind of mass claustrophobia---hemmed in what may be termed the Grand Canyon of Advertisements. What got me recently upset, however, was the sight of several commercial billboards perched right inside the front perimeter fence of Camp Aguinaldo and Camp Crame, facing EDSA---advertising BEAUTY PRODUCTS---NOT SOLDIERS’ ACTIVITIES BUT PURELY COMMERCIAL ADS. Those billboards on the EDSA side of the military and police camps are the pits and if no one objects, the desecration would continue. I think of all the soldiers who have had to defend Camp Aguinaldo against various coup attempts. At the height of the campaign to recover Marawi, no one thought of putting up billboards extolling our fallen soldier-heroes. Now, with about three billboards advertising beauty products and probably more coming up, there’s no more dignity even along the military perimeter facing EDSA. Decades back I was part of a group that tried to fight the creeping monstrosity of ads. Led by professionals such as Teresa V. Daza of outdoor advertising, our group lobbied with Congress to pass a law allocating the places to display those ads and restrict them to a certain acceptable size and distance---for the sake of common sense. It was admirable that that in those days, the group involved in outdoor advertising was itself lobbying for restrictions in ad size and placements. 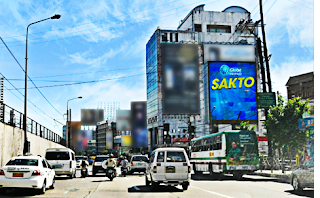 But nothing much became of it and in no time gigantic billboards have covered the entire highway and are now invading other parts of Metro Manila. It's very much a part of the lawlessness and lack of discipline that pervades the metropolis and society. 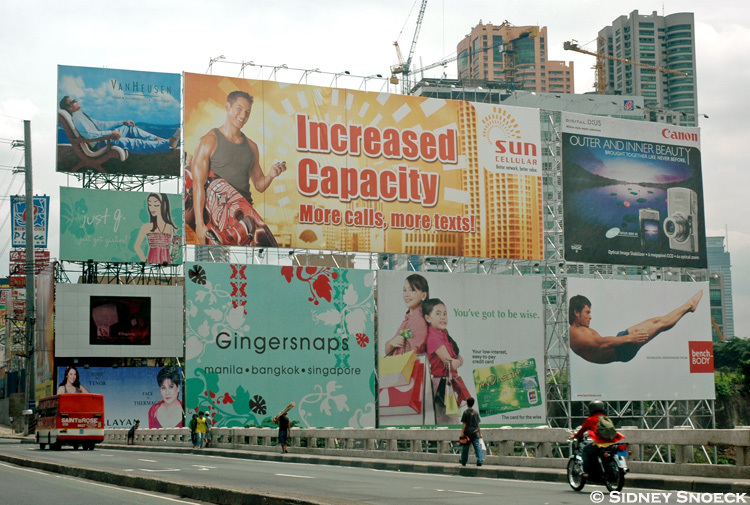 Many countries have working regulations about outdoor advertising. China itself limits outdoor ads to a certain size, so that its highways are pleasant to travel by. One reason why Paris--the City of Light--has remained so beautiful is that its city center has remained intact through the decades and centuries---so that it still looks the same as the city-scapes painted by its famous artists a century ago. For one thing, Paris has no skyscrapers downtown and when the Tour Montparnasse threatened to spoil the view downtown, it raised such a howl that it was forced to be erected in the outskirts. Now Paris has a lot of skyscrapers but not in the city center which is sacrosanct to the Parisians. Ours is a society that seems to have no respect for rules and regulations, for sobriety and good sense. Perhaps it all began with the monstrosity of a skyscraper built in the vicinity of the Rizal Park in the Luneta years back, dwarfing the statue of our national hero. We registered our vociferous objection and some folks brought the issue to court, but construction still went on. Lamentable. Nothing much was done about it and in no time huge billboards covered the entire EDSA and is now invading other parts of Metro Manila. It is very much a part of the atmosphere of lawlessness that pervades the metropolis and society. EDSA has become one grand canyon of advertisements, and this appears to be just the precursor to the invasion of commercialism everywhere. It’s fast becoming a society that has no respect for rules and regulations, for sobriety and good sense. A pity.